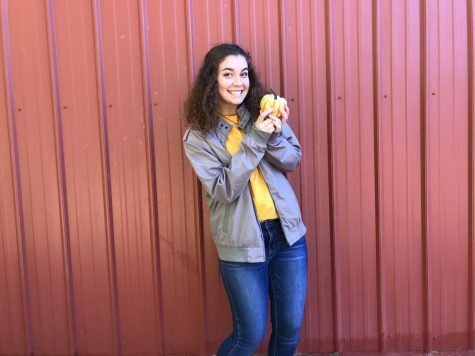 Haley Kish, a junior in the magnet program, joined The Chant this year since she has always had the idea of becoming a journalist when she gets older. She enjoys taking pictures of anything and everything she sees. Having a bubbly and creative personality, people love to be around her. She lights up the room with smiles and laughter anytime she speaks. Kish is very active in the school community even though distance may sometimes be an issue. Ever since she was little, she has been a part of Relay for Life and this is an event that she holds close to her heart. Her freshman and sophomore year she was a part of the school track team and made it to the JV county meet in the long jump and 400m dash. This year Kish plans on joining the school golf team and become a part of the tech team with drama. Also being a part of the magnet program, this upcoming summer she gets to travel to Central Europe and this will be her first time traveling abroad. Kish is a diehard Auburn fan and she hopes to attend Auburn University after high school. During her free time, since football is her favorite sport, she tries to go to all of the NCHS home games to support the Warriors. After football games, or whenever she is not busy, she loves to binge watch New Girl, Parks and Rec, or The Office, as many people would say she reminds them of “Pam Beesly”. She also loves listening to music from various artists such as Khalid, Panic! At the Disco, Weezer, Blink-182, or Post Malone and she has been lucky enough to see most of these singers in concert, some more than once.